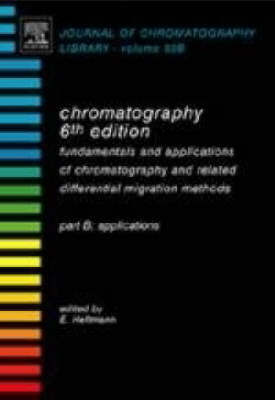 Chromatography has emerged as the most important and versatile analytical method. The book is not only an updated version of Heftmann's classical text, but it covers areas of future importance, such as microfluidics and computer resources. Under his experienced guidance, authorities in each field have contributed their practical experience to an integrated treatment of modern micro analysis. Part B of this two volume set brings the traditional field of application up to date. These include amino acids and proteins, nucleic acids and their constituents, lipid, and carbohydrates. Special chapters are devoted to the most important areas of application: drug and environmental analysis. Forensic and phytochemical applications are covered for the first time. Together with an overview of computer resources, the subject index allows novices as well as experts to obtain rapid and authoritative guidance to analytical problems, such as choice of methods and optimization of techniques and instrumentation. Each chapter is written by an authority. The book provides a thorough treatment of the theoretical basis of separation methods. It is a practical guide for performing analyses.